Your restaurant POS is not just a billing machine that takes care of your day to day transactions, order punching, and general operations. The modern-day POS system is endowed with a lot more features that make it the single most important piece of technology at your restaurant. In this article, we will cover the following headers. What are the key features of a restaurant POS system? Let’s delve deeper into each of the functions. Well, a restaurant POS system does assume the role of your cash register. It takes care of the key operations and we have mentioned them in some detail below. Printing Kitchen Order Tickets (KOTs): A Kitchen Order Ticket is generated after the order placement and forwarded to the kitchen where the meal is prepared and forwarded back to the front end. Billing and receipt printing: A bill (including tax amounts which are automatically computed) is generated as the order is forwarded to the kitchen. A customer copy of the receipt is then handed over to the customer. In short, the restaurant POS helps expedite the whole journey from the customer to the kitchen. Customer experience is significantly enhanced if the wait time is lowered and made more systematic with as little mistakes as possible in order processing. Wastage is an issue that plagues restaurants. The role of the management is then to be on top of the inventory, keep track of the pilferage and make the necessary additions to the planning and buying process. The POS provides you all the information that you need about your inventory. It gives you updates on the stock levels at any point and gives you an update on where you stand with regards to the inventory. In a nutshell, making strategic buying decisions and controlling theft/pilferage is now easier as all the data gets recorded on your restaurant POS. Making sense of data is important. The POS helps you throw light on all the numbers that matter to you. Be it customer information or order details, the analytics that your POS provides can be used by you to make adjustments to your strategy. The restaurant POS system provides you insights and information across establishments to help you centrally understand where you stand. The POS also helps you check trends by providing you periodic reports and dashboards. The information that you get can ranges from which hours and days are conducive to your business, which products are selling more, what’s the inventory status and so on. The modern-day POS takes in data from multiple sources. Once the data is aggregated, it needs to be interpreted correctly so that the needed campaigns are run to the contact databases. Your POS is also a great tool to get an idea about individual and collective customer tastes and preferences are. This can further help you create your campaigns in a more personalized manner. If you are not very initiated on the CRM front, here’s a quick example. Let us say you want to set-up an SMS campaign. You can make categories, for example, for people who order pizza more than a certain number of times that will have a campaign triggered to them. Alternatively, a customer who hasn’t visited your restaurant in a while can also have an SMS campaign triggered. Loyalty points and programs are excellent ways of getting your customers to buy more from you. It incentivizes customers to make repeat visits and become your loyal customers. Data suggests that restaurants with loyalty programs witness higher average order values from customers compared to restaurants without loyalty programs. You can add loyalty to your system in one or more of the following ways. When you are managing a restaurant, you might have to oversee orders from multiple channels. It might come in through your company’s own website, your IVRs or third-party aggregators like Zomato, Swiggy, Ubereats, etc. In that case, a central system would help you track orders from each channel and across all your restaurant outlets. A restaurant POS, when synced with third-party integration tools, helps you get visibility on the order statuses across every channel. This tells you how each channel is fairing, provides you the order statuses and raises a ticket when any channel faces specific issues. It helps simplify the order management process. Solutions offering third-party integration functionality also help you make quick changes to the menu across different channels without depending too much on the channel partners. As a manager, keeping track of staff activities is important. With a POS system, employees punch in their entry time and you can monitor logs of their activity to see whether they have been regular with their shifts. It can also generate periodic and real-time reports on staff performance that will help you quickly evaluate them. This concludes our list of key features that should be present on your restaurant POS system. Over to the next section. Why should you invest in a cloud-based restaurant POS System? You will also hear the word cloud POS thrown around a lot. A cloud POS is a fairly recent addition to the restaurant technology industry. It is consistently improved to meet the expectations of restaurant owners, managers, and staff, as well as to compete in an increasingly growing vertical. What is a Cloud POS system? A cloud restaurant POS helps to store data on remote servers and data is way more safe and secure on them. With a cloud POS, you are always online and can even monitor and manage your restaurant from the comfort of your home. For instance, you do not need to be physically available at the restaurant to make changes to the menu or monitor staff shifts. What is a Traditional POS system? A Traditional POS system, on the other hand, is an older concept in which the data is stored on local servers and you need to be available at your restaurant establishment to man the key functions of your restaurant. As the data gets stored on local servers, it is more prone to data security issues. Benefits of a cloud Restaurant POS System and why should you consider investing in one. The cloud POS system offers restaurant managers with a whole list of features and benefits. A cloud POS system is stored on top quality remote servers (such as AWS) where data loss risks are at a minimum. As remote servers are protected by multiple levels and layers of safety, hacking into one is next to impossible. Traditional POS systems, on the other hand, are hosted on local servers with greater data security threats. A cloud POS software allows you to make monthly payment instead of a large one-time payment up front which needs to be made in the case of a traditional POS. This makes it a lower burden on a restaurant financially. If the owner is unhappy with the software, they can make the switch by terminating the monthly subscriptions. One of the best features of the cloud POS is that it keeps you online and in control of your business at all times, from anywhere. Say you want to make an important correction to the menu. You do not need to be physically present anymore to make this change. A Cloud POS can help you make this change online and the same changes can be reflected in your restaurant in a matter of minutes. All you need is an active internet connection and you are always connected to your restaurant. A Traditional POS system, however, requires you to be at the outlet to make any changes or track real-time data which is a big drawback of using the legacy POS. Cloud POS systems often have an offline feature as well which lets you punch in customers, make menu changes and so on even when you do not have access to the internet. The changes get saved in the offline mode and the moment you get access to the internet, the changes get uploaded via the cloud. This feature is particularly useful during internet outages, allowing you to be operational at all times. Your cloud POS system is indispensable to your overall restaurant management. It is linked with your Analytics Platform, Third party order aggregator tool, CRM systems (Email and SMS marketing), as well as Loyalty and Feedback systems. All these systems work together in tandem the moment customer data, punch-ins or order placements hit the POS system. Technology never gets obsolete with a cloud POS as the software is constantly auto-updated in scheduled time-slots (as per your convenience). All the latest software enhancements get synced in during the update. In the traditional model, you run the risk of your POS becoming obsolete as the technology is rather ‘static’. While you should weigh the pros and cons of both the cloud POS and the traditional POS for your restaurant, we tilt towards the cloud POS as it is equipped with lots of features. We would recommend you do a research of your own to see which one you’d rather go in for when you go POS shopping! 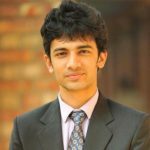 Aditya Sarkar is a part of the Marketing team at LimeTray. When he isn't working, he likes to solo-travel, binge on Netflix and play ping pong.